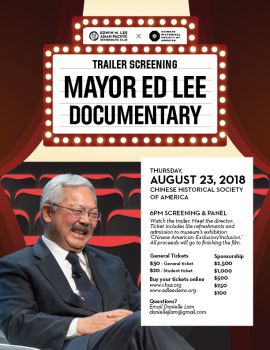 CHSA and the Edwin M. Lee Asian Pacific Democratic Club are teaming up to raise funds for Ed Lee: The People’s Mayor, the upcoming documentary produced by CHSA and Rick Quan Productions. 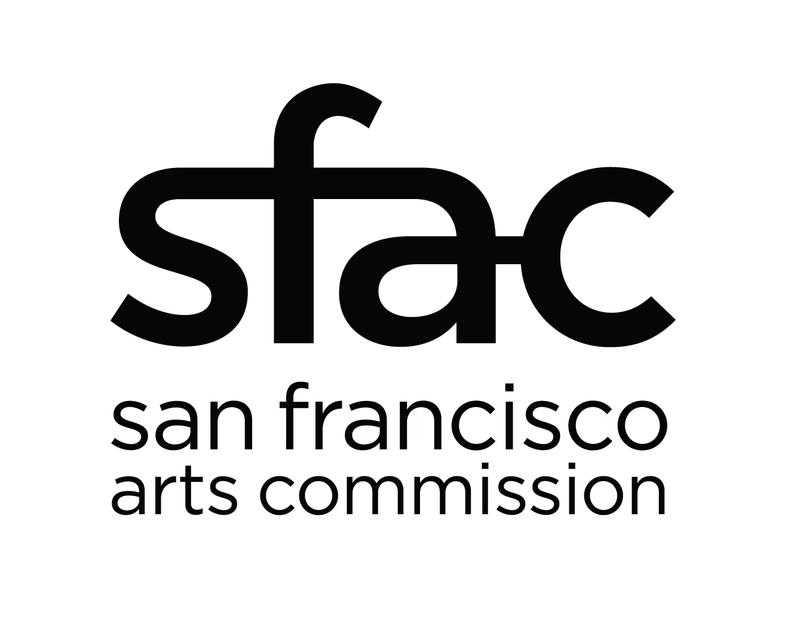 Join us Thursday, August 23, 2018 at CHSA for an exclusive screening of a new trailer for the film. Meet director Rick Quan, who will discuss the film in person. Tickets include light refreshments and admission to CHSA’s exhibition Chinese American: Exclusion/Inclusion. All proceeds will go towards finishing the film. For more information, please email Danielle Lam at daniellejlam -at- gmail.com.